DuckTales is returning and Scrooge McDuck has a new voice. 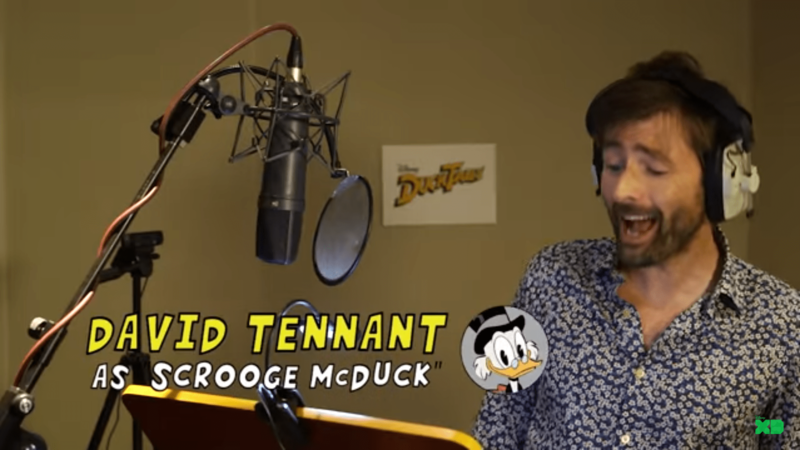 The revival of the classic Disney Afternoon cartoon has former Doctor Who star David Tennant leading this revival as the voice of Scrooge McDuck himself. He is joined by a host of other big name voices including Danny Pudi, Ben Schwartz and Bobby Moynihan as the voices of Scrooge’s nephews Huey, Dewey and Louie, respectively, Beck Bennett as Launchpad McQuack, Toks Olagundoye as Mrs. Beakley, and Kate Micucci as Webby Vanderquack. DuckTales will be coming to Disney XD in the summer of 2017. What do you think of this cast and also this new version of DuckTales?